Eric Thovson today received a review from a client that really made everyone at SJF quite proud. 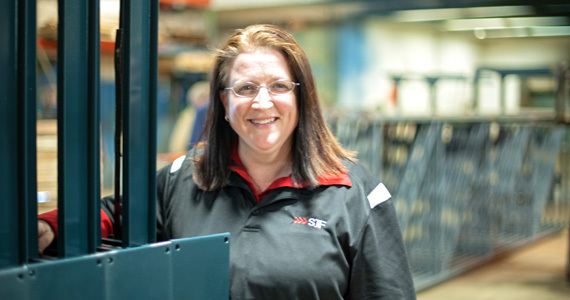 It exemplified the type of service and team work our entire SJF team strive to provide our clients. 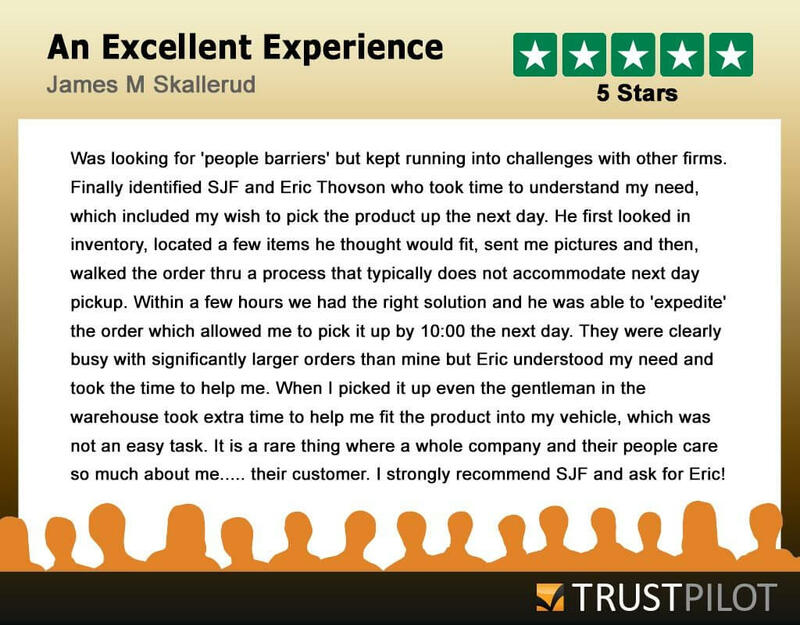 Reviews like the one James Skallerud provided below make it all worth the effort. 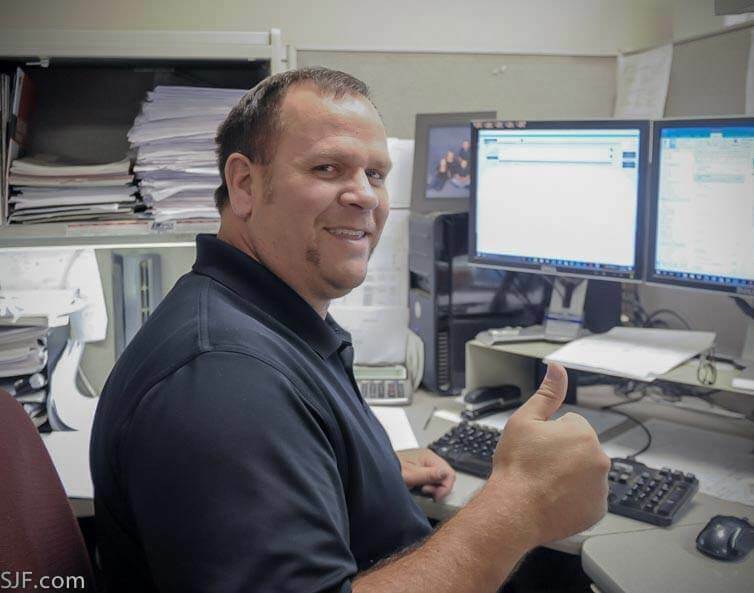 Great job Eric and everyone that makes it happen each and every day. 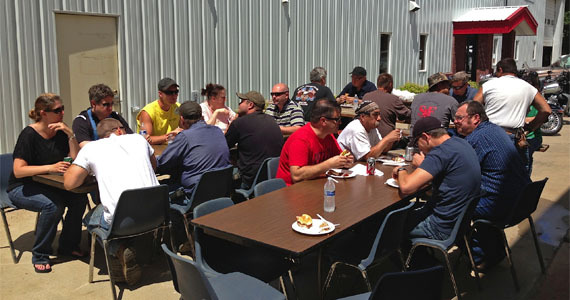 To kick off the summer, SJF held a company barbecue in the parking lot last week. 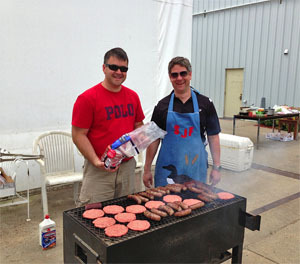 Hamburgers, Brats & Hot Dogs & even some Venison (Deer) were expertly grilled by our very own Eric Moen and Ed Salonek. We even busted out our custom made SJF grill made from material handling components left over from various projects in the production shop. All of the employees enjoyed their lunch and then played a little hoops before returning to work for the rest of the day.